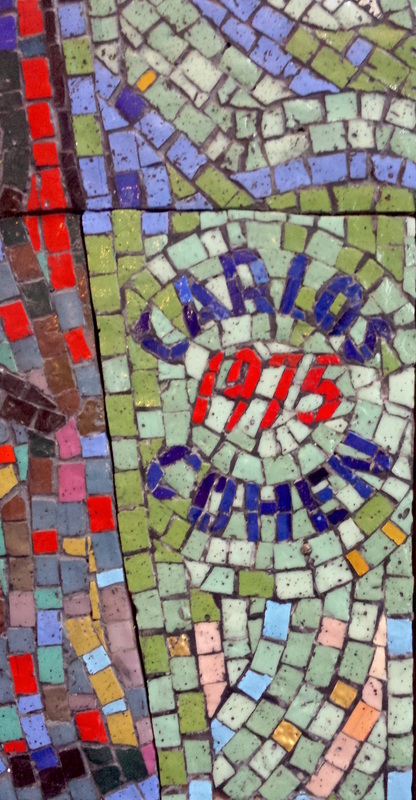 Carlos created this magnificent piece in 1975. 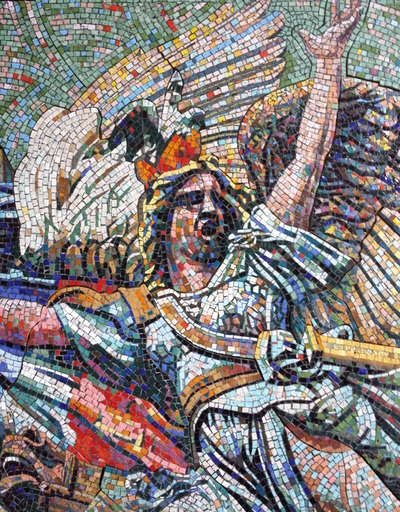 It is considered to be his life's most important work of art, which took him a full year to complete. 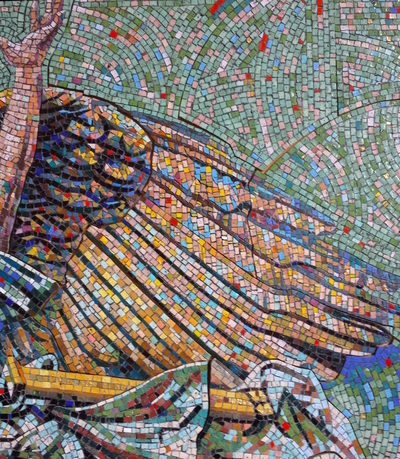 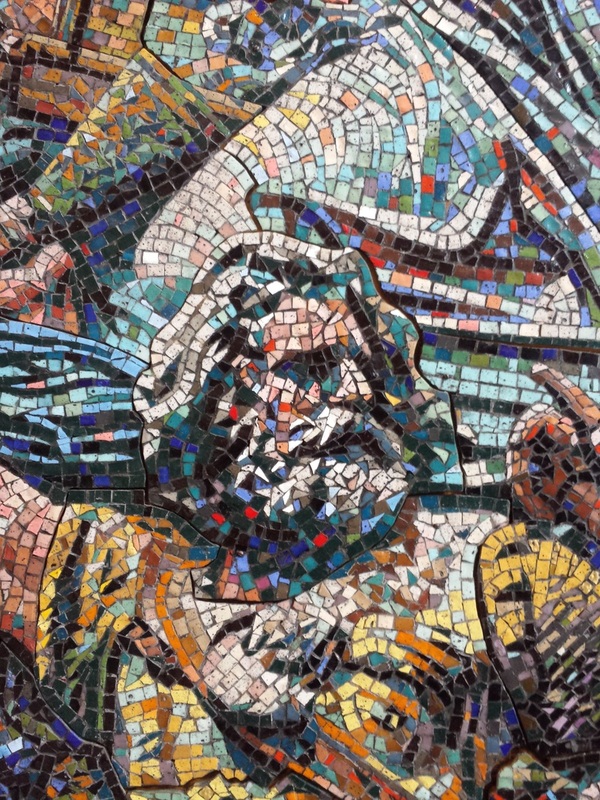 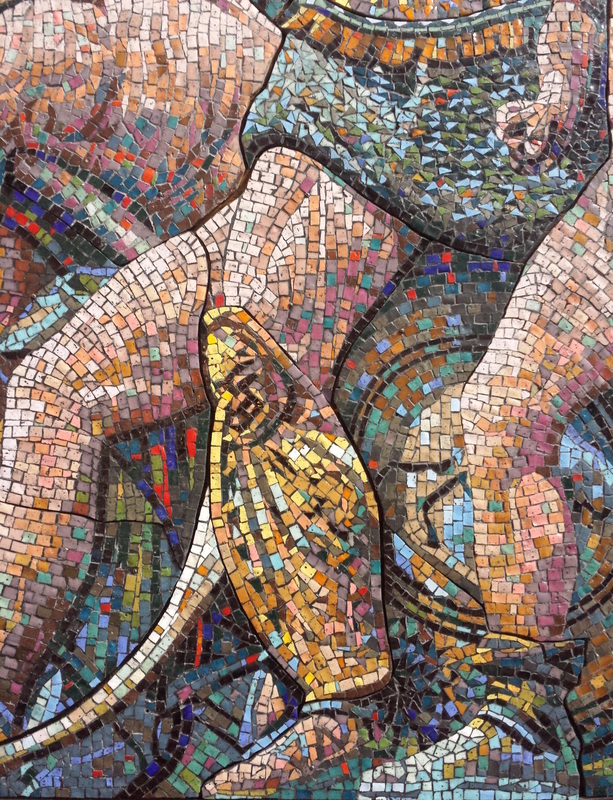 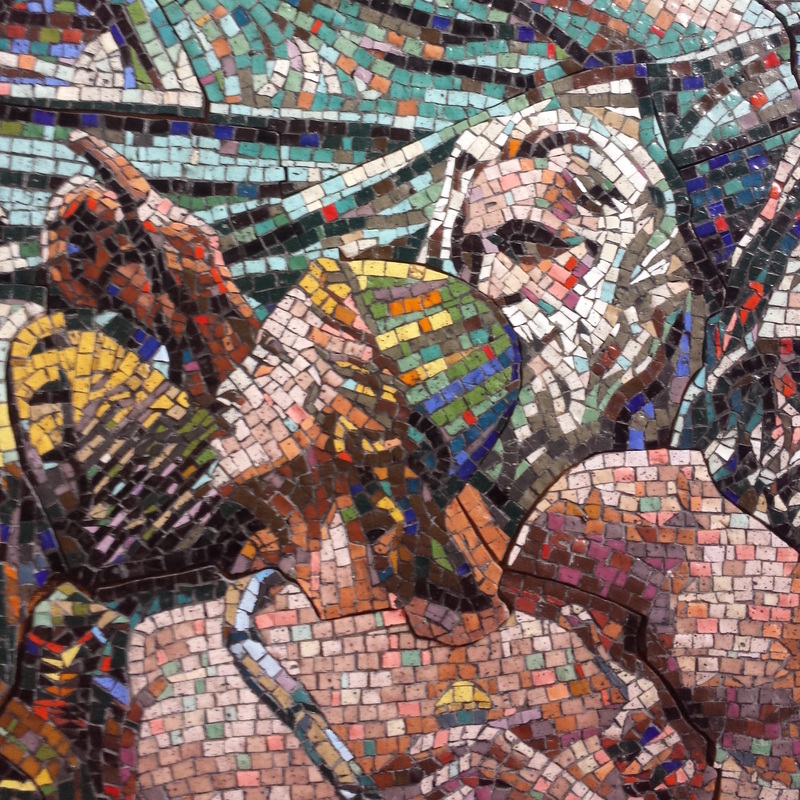 It contains more than 10,000 individual pieces of tesserae and stands over nine feet tall by seven feet wide. 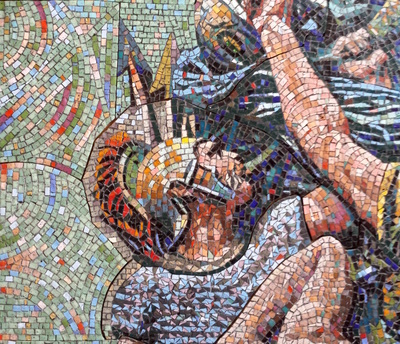 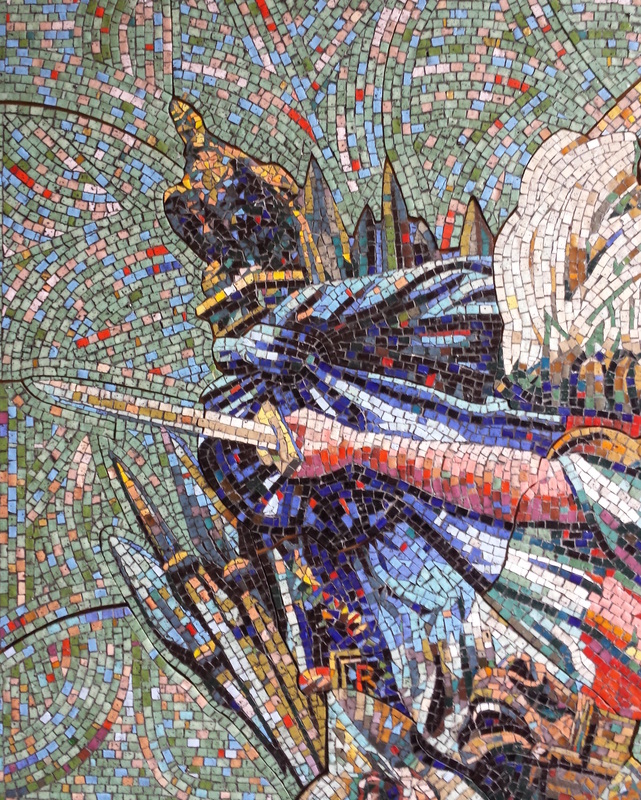 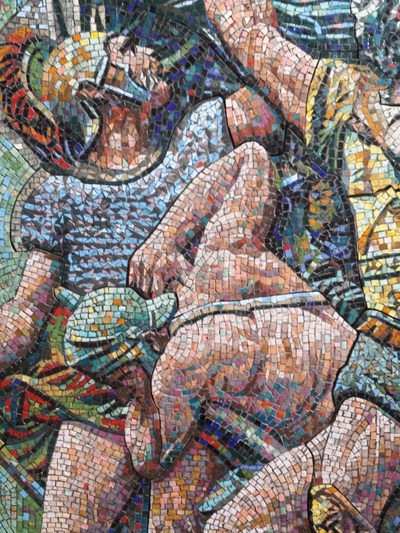 The medium used in this mosaic is Byzantine tile (also referred to as "smalti"), imported from Italy. The theme of this mural is modeled after the sculpture located on the North side of the Arc de Triomph in Paris. Below is a photograph of the original bas relief sculpture by French artist Francois Rude (1784-1855).